I am so grateful for Changing Tomorrow Academy. When my maternity leave was coming to an end, I was very anxious about putting my son in childcare. We contemplated and visited many, many, many daycares and enrolled our son into CTA. The owner and staff have been great partners in aiding my sons development. There is always great communication and a clear set of expectations from the teachers and staff. Having a nurse on site was a major plus and it is wonderful knowing that a trained and certified RN is always there to assist in any matter. The staff at CTA are always available via email or phone and they seem genuinely happy and content being part of the daycare— not to mention how happy my son is when we drop him off and pick him up. Their state of the art technology allows me to always be in the know of what my child is learning, when he’s being fed, changed, and there are pictures uploaded frequently every day! I feel as though I’m with him everyday (that helps any anxious parent). The food is impeccable and I love that I am able to drop by whenever I want to see my son, which is very important to me. The teachers always remember to tell me the smallest details about his day, which brings me so much joy! The most important part is that my son truly enjoys attending this daycare. 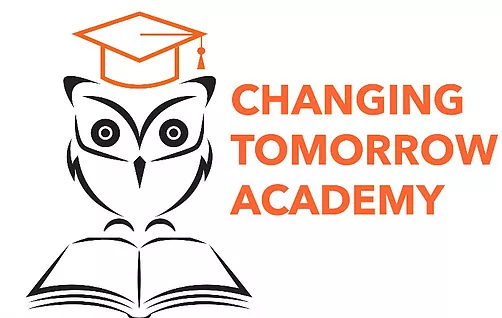 Overall, I’ve had an excellent experience and I would unreservedly recommend Changing Tomorrow Academy to any parent who is looking for professional, kind, knowledgeable and caring caregivers for their children. I have no words to describe how great this place is. Attentive, kind and friendly staff. They are doing their best. I love this place and very happy with my choice.